I was Deputy Team Leader for Formula Student Racing Car in my university and we achieved the seventh rank in 2014 in the worldwide for our designs then I worked as an R&D Mechanical Design Engineer at MB factory in Egypt then I work now as a Senior Applications Engineer (Mechanical Design on CATIA V5 software and Realistic Simulation on Abaqus software for Finite Element Analysis) in automotive, High-Tech and aerospace engineering fields. I have a full scholarship from the United States of America Department to participate in International Visitor Leadership Program (IVLP) for makers women in USA science fall, 2017. In addition, I already certified instructor and certified on CATIA-V5 from Dassault Systemes. From 2018 till present, I study master of aerospace and aeronautics engineering at Cairo University in Egypt and my specialization is in Design and Analysis Structures for aircraft. I graduated from Mechanical & Design Engineering in 2014. 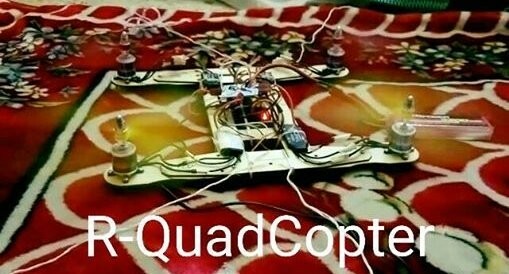 I am Alumni from Maker and Advanced Maker Diplomas which FAB LAB EGYPT makes and coordinates them, therefore, my final was R-QuadCopter. Those programs were a full scholarship by FAB LAB EGYPT and ACC at U.S Embassy in Cairo.